Art is around every corner in The Village. An overview of 10 painters and illustrators who lived in or worked in Greenwich Village. The neighborhood and address of where they lived or stayed. Locations of some of their most inspirational Greenwich Village cafes and bars. Details of their works and the connections to the community. Greenwich Village has been a welcome home and community for painters and illustrators since its beginning. Many artists, such as Edward Hopper, and Salvador Dali drew inspiration from the Village and lived, worked, and incorporated its beauty, energy and unique culture into their work. 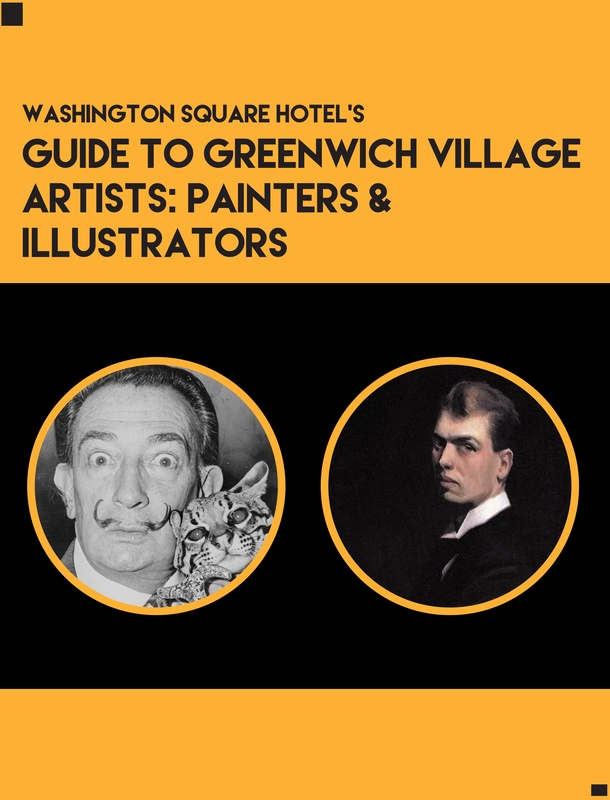 This free ebook gives you the 'who' 'where' and 'what' about these painters and illustrators and how the fount of inspiration Greenwich Village offered left an impression on them.